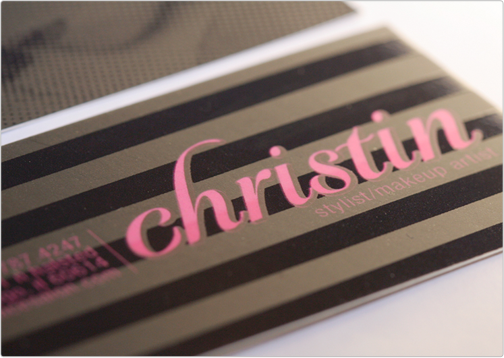 This slim cut business card with spot gloss highlights was designed for Christin, a stylist from the prestigious salon in Chicago, Illinois titled - Art and Science Salon. 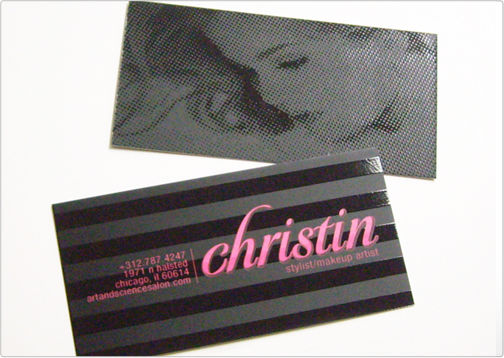 This specific business card displays spot gloss in a revolutionary manner. 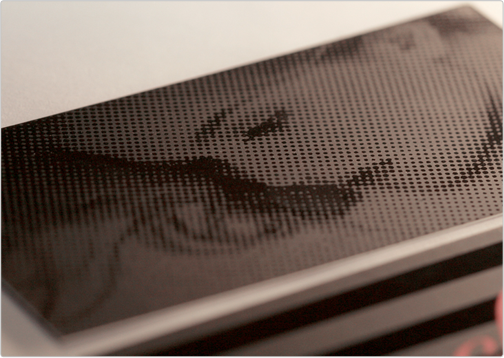 The back side of the business card is printed black with a clear varnish coating to create the design of a woman's face.